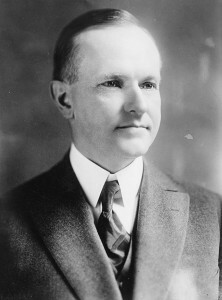 President Calvin Coolidge called the National Conference on Outdoor Recreation in 1924. Photo by George Grantham Bain, Library of Congress. The 1920 census marked a milestone in American history. It revealed that – for the first time – the urban population surpassed that of rural areas. As the number of city dwellers grew, so too did the demand for new recreation spaces. Responding to this need, driven in part by expanded access to automobiles and to leisure time, President Calvin Coolidge called a first ever “National Conference on Outdoor Recreation” in 1924. The privately-funded gathering brought together more than 300 delegates from 128 organizations. The attendees, largely middle and upper class white men (though some women also participated), advocated for an expanded federal role in recreation. They urged the government to develop a national recreation policy, which would include an inventory of the existing sites and resources as well as guides for the construction and maintenance of local parks and playgrounds. The Rockefeller Memorial Foundation and others contributed funds to support these efforts, though interest (and financial backing) proved difficult to sustain later in the decade. While the conference itself petered out after a few years, it did manage to meet again a second time in 1928. In addition, participants produced a wide-ranging document, “National Conference on Outdoor Recreation: A Report Epitomizing the Results of Major Fact-Finding Surveys and Projects Which Have Been Undertaken Under the Auspices of the National Conference on Outdoor Recreation.” Among other subjects, the report included analysis of municipal and county parks, training programs for recreation leaders, information on industrial workers’ leisure habits from the Bureau of Labor Statistics and coordination of National Park and National Forest activities.